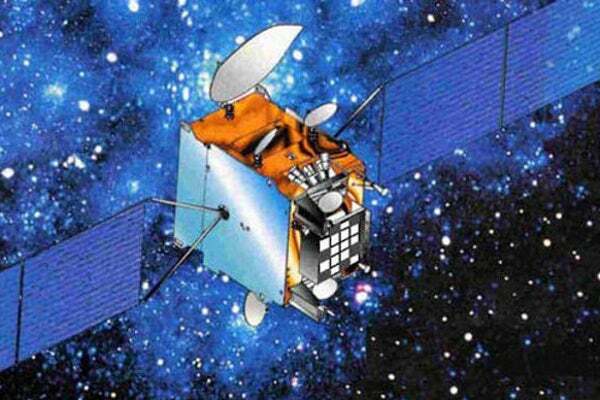 Artist's impression of Comsat NG military communications satellite. Image courtesy of Ministère de la Défense. Thales Alenia Space is the prime contractor for the Comsat NG programme. Image courtesy of Ministère de la Défense. The Comsat NG military communications satellites will be orbited by Ariane 5 between 2020 and 2022. Image courtesy of elisabetta_monaco from Munich, Germany. Comsat NG (next-generation) military satellite communications system is being developed to meet the military communications requirements of the French Armed Forces. The Comsat NG system comprises two military communications satellites that are intended to replace Syracuse series third-generation satellites, Syracuse 3A and Syracuse 3B, currently in orbit. Service entry of the new satellites is scheduled for 2021. With a design life of 15 years, the new-generation communications satellites will provide new services and enhanced performance over Syracuse series satellites through X-band and Ka-band military frequencies. The satellites will facilitate high-speed secure data transmission between mainland France and theatres of operation as well as between various theatres at long distances. They will also support the transmission of large amounts of data. In September 2012, the French defence procurement agency DGA (Direction générale de l’armement), part of the French Ministry of Defence, awarded contracts to Thales Alenia Space and Airbus Defence and Space (formerly Astrium) to conduct design studies on the next-generation military satellite communications system as per the military requirements. A consortium of Airbus Defence and Space and Thales Alenia Space received a contract from the DGA in December 2015 to construct and supply Comsat NG telecommunications system. The contract also includes construction of a ground control segment and Ka-band anchor stations, modernisation of ground stations in France, and options for additional satellites. The consortium will also provide operations and maintenance support. Thales Alenia Space owns 65% stake in the consortium, while the remaining is owned by Airbus Defence and Space. As the lead contractor for the project, Thales Alenia Space will build payloads for two Comsat next-generation satellites. Thales Alenia Space’s lightweight, high-efficiency, all-electric Spacebus Neo satellite bus serves as the basis for one of two Comsat NG satellites, whereas the other satellite will be built based on the Eurostar 3000 platform, built by Airbus Defence and Space. The former bus can carry payloads of more than 1,400kg and offers 16kW of power. The Eurostar 3000 is capable of operating up to 100 transponders in addition to antennae. It has a launch mass between 4,000kg to 6,000kg and offers 4kW to 14kW of power. The next-generation Comsat telecommunications satellites will have identical X-band and Ka-band military transponders and will use an all-electric propulsion system. Each satellite will be equipped with two solar arrays, and have a launch weight of 3,500kg and a service life of approximately 17 years. "Comsat NG (next-generation) military satellite communications system is being developed to meet the military communications requirements of the French Armed Forces." An active anti-jamming antenna and a digital processor onboard will allow the satellites to withstand enemy jamming. The ground control segment consists of control and mission facilities and anchoring stations to support the operation of the spacecraft. Arianespace signed a contract with Airbus Defence and Space and Thales Alenia Space in January 2016, to provide launch services for two Comsat NG military communications satellites. The satellites will be lifted off from the Guiana Space Centre in Kourou, French Guiana, on board Ariane 5 heavy lift launch vehicle between 2020 and 2022. The Ariane 5 rocket can carry up to 10t of payloads to geostationary transfer orbit and approximately 20t to low-Earth orbit.